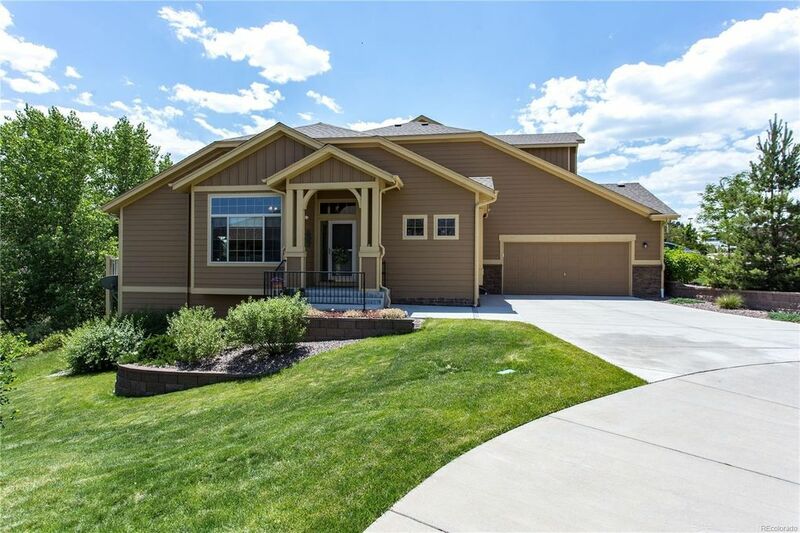 Pristine 3-Bedroom Townhome in Castle Pines North ~ Main Floor Master ~ Open Floor plan ~ Walk-out Basement ~ Steps to Open Space! Move right in to this immaculate home with a carefully designed floor plan, vaulted ceilings, a light-filled kitchen with eat-in nook. The kitchen is beautifully appointed with slab Granite counters, Maple cabinets, breakfast bar and all Stainless appliances. Relax in the evenings in the spacious living room with gas fireplace and enjoy a glass wine on the TREX deck. Vaulted master bedroom features an adjoining 3/4 bath & lg walk-in closet. Den/conforming bedroom off entry is currently used as a study. Conveniently located main floor laundry room. Finished walk-out basement w/ lg rec room, bedroom, full bath and outdoor patio. Plus the HOA handles exterior maintenance, landscaping & snow removal so you're free to enjoy all that Colorado has to offer. Welcome home to a wonderful neighborhood, great location near shopping, restaurants & easy acces to I-25.